It’s been a big week for Aztec Student Union news. Earlier this week, we announced a naming gift for the central courtyard of Aztec Student Union, thanks Lee and Frank Goldberg, and The Daily Aztec published a great timeline and article for its Explore SDSU special issue. Of course, if it’s Friday, that means another Photo Friday post. So, take a glance at photos taken this week and marvel at the construction progress! Want more up-to-the-minute news about Aztec Student Union? 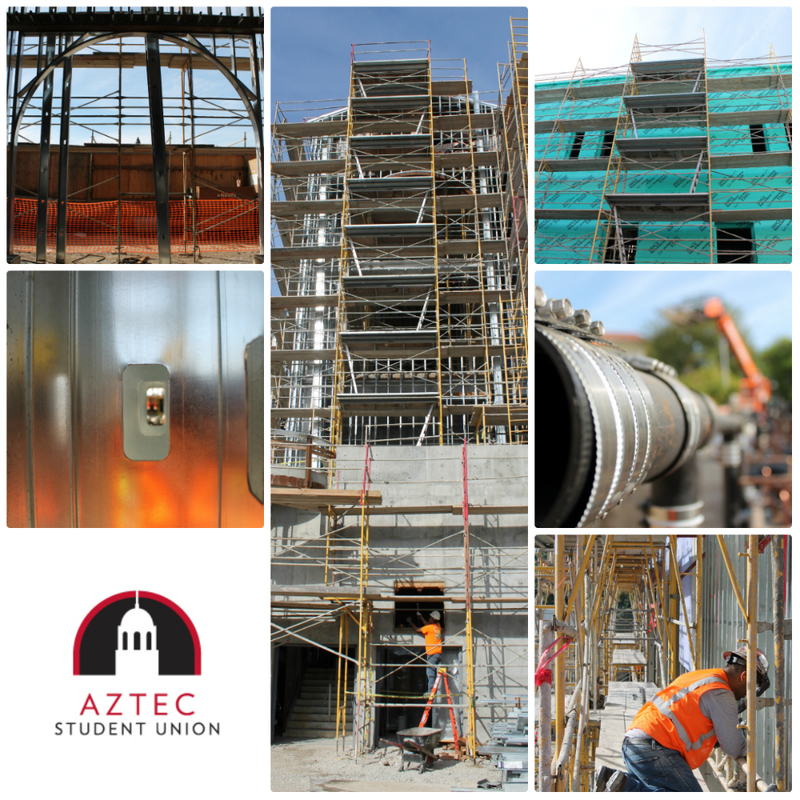 Be sure to “like” the project on Facebook, follow it on Twitter or visit the Aztec Student Union website. Nice photographs of the “meat of the nation”, the working class !